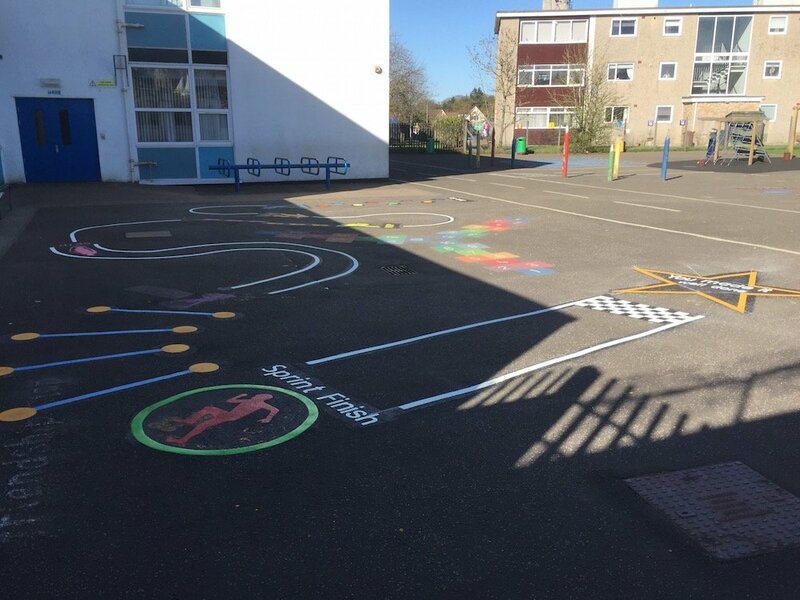 first4playgrounds have just completed a thermoplastic marking installation at St Patricks Primary School in County Durham. 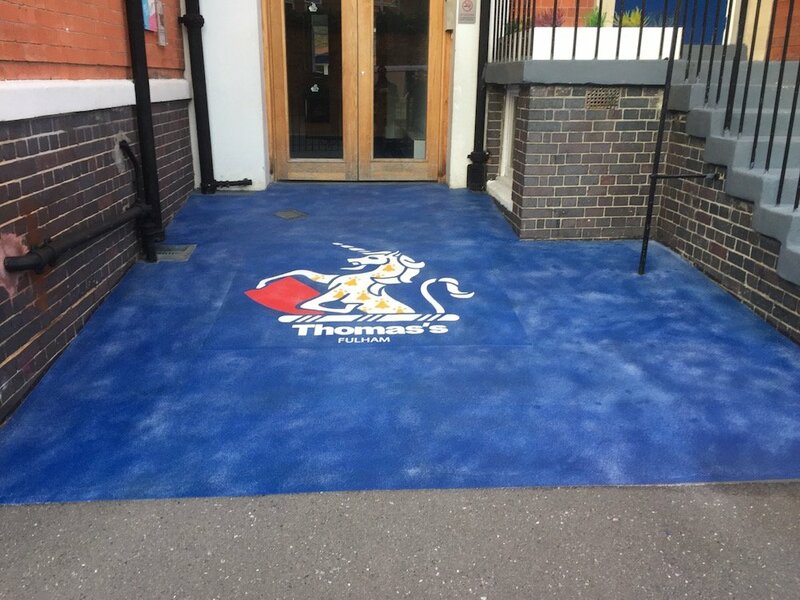 There were 2 playgrounds covered by the playground graphics, the infants playground at the front of the school and the Key Stage 2 play area at the rear. In the icy North East of England December weather our installation team battled the elements to complete the work. 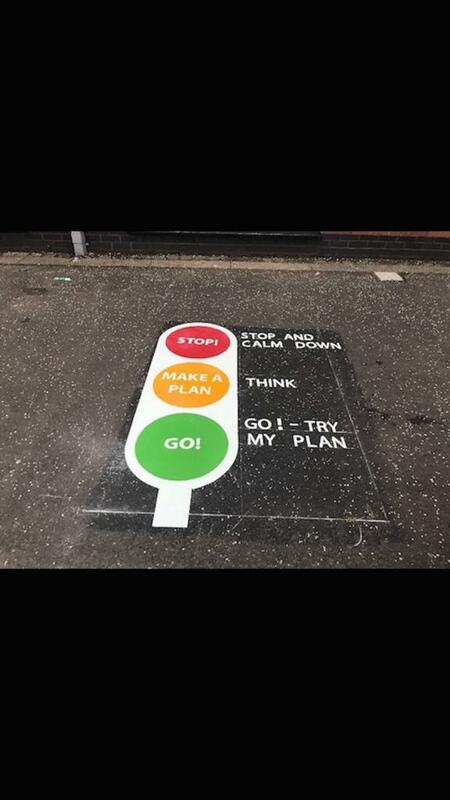 The infants yard markings included a 1 to 64 Snakes and Ladders game which looked fantastic on the new tarmac! 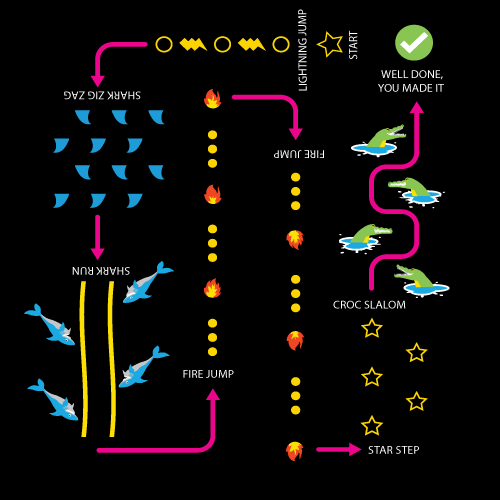 We also provided a Dance Moves activity game, a Rocket Hopscotch and a bespoke bike track with individual parking bays, a petrol pump and a zebra crossing. 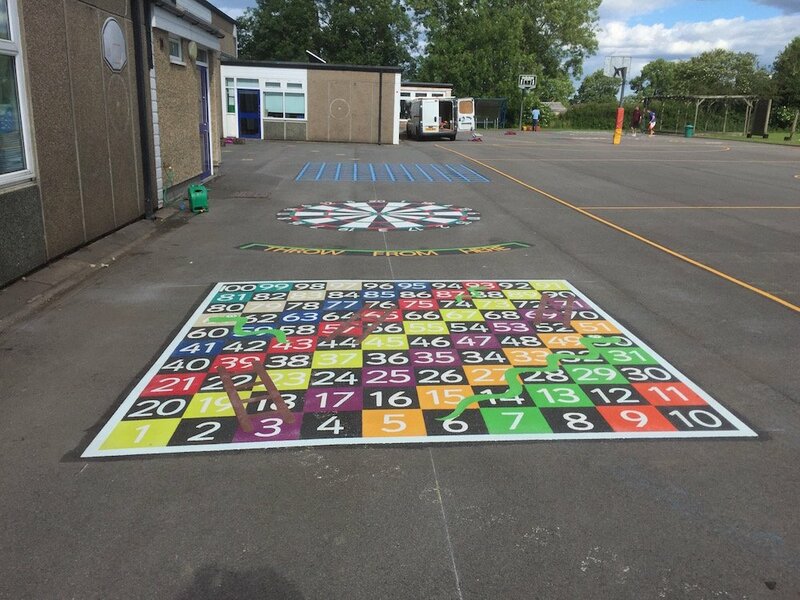 In the Key Stage 2 playground we installed a 1-64 snakes and ladders with larger 400mm x 400mm squares, a football pitch and 2 large hopscotch games.